Ce document au format PDF 1.4 a été généré par PScript5.dll Version 5.2 / Acrobat Distiller 5.0 (Windows), et a été envoyé sur fichier-pdf.fr le 25/12/2014 à 19:05, depuis l'adresse IP 2.14.x.x. La présente page de téléchargement du fichier a été vue 536 fois. Taille du document: 317 Ko (31 pages). • List the “visual” differences that identify IHKA from IHKS. • Access the microfilter for service. • Diagnose a faulted interior temperature sensor blower (IHKA). 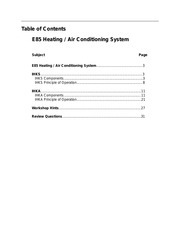 • Describe what occurs with the A/C compressor when MAX AC is switched off (IHKA). • Understand how to deactivate Transportation Mode before vehicle delivery. control AUC is a unique feature in the roadster. In both variants, the control panel consists of three control zones each with a rotary knob. These are elevated from the instrument panel like &quot;islands&quot; to underscore the sporty characteristics and enhance the high grade appearance of the roadster. The rotary knobs feature precision adjustment and rotary function lighting. • Sporty and high grade control panel appearance. • The island design provides clearly arranged and easy to use controls. • Precision adjustment for air distribution, blower speed and temperature setting. • Common parts concept implemented to a large extent. • No water shut-off valve and auxiliary water pump due to airbased control. pages. IHKA is detailed later in this module. The rotary knob for air distribution (adjustment range of 360º rotation) features 3 rough settings and 9 fine settings. 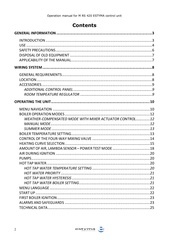 • 23 fine settings over the complete adjustment range from cold to warm. 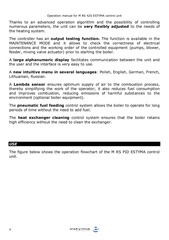 (corresponding to the required position) when the rotary control for air distribution is operated. a microswitch. This microswitch provides feedback to the IHKS Control Module which corresponds to the air distribution flaps and their positions. kinematics for air distribution is possible only within restricted limits. the rotary knob on the control panel/control unit. The outlet temperature is set by a stepper motor coupled to the mixed air flap. Note: Changes in engine rpm do not trigger any temperature adjustments. The central kinematics stepper motor adjusts the cam disc for air distribution. blower speed. There is 1 flap at the fresh air inlet and 2 flaps for recirculating air control. The actuator for the fresh air/recirculating air flap adjusts these 3 individual flaps by a coupling linkage. air/recirculating air flap is not a stepper motor. Its position is determined based on the activation of 4 phases. the previous BMW systems (digital displays) in that it features an analogue control panel. the IHKA control module. The IHKA control panel and control module form one component. 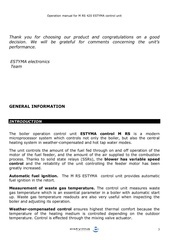 Note: The solar sensor is not available on the E85 IHKA system. trim rings are clipped into the instrument panel from the front and can be replaced separately. The rotary knob for air distribution (adjustment range of 360º rotation) features 3 main settings and 10 precision settings in between. for the zero setting. There are 14 precision settings from the zero position up to the maximum setting. The following buttons feature a green function light (LED): AUTO, A/C, MAX AC. The button for AUC/recirculating air has 2 green function lights (LEDs). (LED). When the vehicle lights are switched on, the indicator lights are activated via terminal 58g. The signal comes from the light switch center (LSZ). (photocell in light switch center). geometrical shape, guides it to the light outlet window of the rotary knob. is always emitted at the light outlet window. to run for 10 minutes after KL15 is switched “OFF”. The afterrunning period is necessary to keep the interior temperature reading “fresh”. Otherwise, when the vehicle is parked for a short period of time (e.g. refuelling), due to interior heat build up, the sensor would supply an incorrect value for the interior temperature. short to B-. The substitute value is 68 ºF. The sensor blower is not monitored. 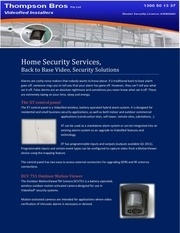 In the event of a fault, this will influence the temperature control (regulation). An implausible temperature value may be supplied when the vehicle interior heats up. reference point. A flap end position (0% or 100%) serves as this reference point. temperature of the air flowing out at the evaporator. short to B-. The substitute value is 32 ºF. flap to measure the mixed air temperature. range from -40 ºF to 221 ºF. B-. The substitute value is 131 ºF. selected (DEFROST, MAX AC, automatic blower function, individual blower setting). air mode or recirculating air mode. intake shroud of the electric cooling fan (1). by the IHKA control module. signal on a separate control wire providing no full load cutout request is active. Consequently, the IHKA control module activates the A/C compressor magnetic clutch. “OFF”. Derived from the key memory (personalization), the function last selected is activated when KL15 is switched “ON”. A/C compressor load when switching on during operation is derived from the pressure sensor signal. current is &lt; 20 mA. 0.4 V and 4.6 V.
is always activated as if a hardtop were installed (no hardtop detection). defogger is activated at a rate of 100%. The system then assumes cyclic switching mode. defogger (pulse/pause ratio = 40 seconds ON/80 seconds OFF). Cyclic switching is deactivated when KL15 is switched “OFF”. Restart is possible if the rear window does not remain clear during or after cyclic switching. The full power output can be resumed by pressing the rear window defogger button again. The reheating phase is again followed by cyclic switching. level drops or in the event of overvoltage (&gt; 16 Volt for 5 seconds). threshold values must be applied for longer than 10 seconds. light (LED) remains on while the relays are switched off. • A high blower speed is set manually by the blower knob. knob is still set to high. • Due to AUTO mode, the blower runs at medium speed. large change occurs with the blower output. the blower speeds. The fresh air/recirculating air flap (a total of 3 individual flaps) is powered by an actuator. a dynamic pressure compensation function. pressing the AUTO button. The IHKA control unit sets the optimum blower speed and position of the fresh air/recirculating air flap depending on various inputs. AC function is deactivated by pressing another button or turning a rotary knob. off when the MAX AC function is switched off via the A/C button. The DEFROST function can be activated as required even when IHKA is switched off (blower zero position). The blower runs at full power. The blower output can be adjusted manually in DEFROST mode. “ON” within the afterrunning period (10 minutes). the settings that were active before DEFROST are resumed. Pressing the button again activates the recirculating air mode. Pressing the button once again returns to fresh air mode. function lights (LEDs) on the control panel. coolant temperatures (engine cold) to prevent cold air distribution until warm air is available. result, no cold air is blown directly at the driver/passenger. The automatic blower function must be selected for intervention in blower control. AUTO mode and manual mode. The A/C compressor must also be activated. air/recirculating air flap is set to 20% fresh air. the outside temperature is above 32 ºF. The defrost air distribution flap is closed for 12 seconds. Consequently, windshield fogging caused by moist air from the evaporator is avoided. reduces the opening angle within a certain speed range according to a characteristic curve. of variations in vehicle speed. control module from the refrigerant pressure sensor signal and sent to the ECM. mode is set during vehicle production and must be disabled prior to vehicle delivery. enables a test mode for AUC. the compressor, e.g. the outside temperature, are disregarded. function light in the A/C button flashes during this period. The following table shows the vehicle &amp; key memory functions for E85 IHKA. active, various functions are stored key specific. The following table shows the vehicle &amp; key memory functions for E85 IHKS. flowing into the vehicle interior. achieved by increasing the blower output. correct bus addresses are used. then be removed by pulling down through the service opening in the instrument panel. scratches on the front of the unit. on the passenger's side below the glove box. 1. What are the “visual” differences that identify IHKA from IHKS? 2. How are 3 sets of distribution flaps controlled by one stepper motor on the IHKS system? 3. Where is the microfilter accessed for service? 5. What occurs with the A/C compressor when MAX AC is switched off (IHKA)? 6. What is Transportation Mode? Ce fichier a été mis en ligne par un utilisateur du site. Identifiant unique du document: 00289309.